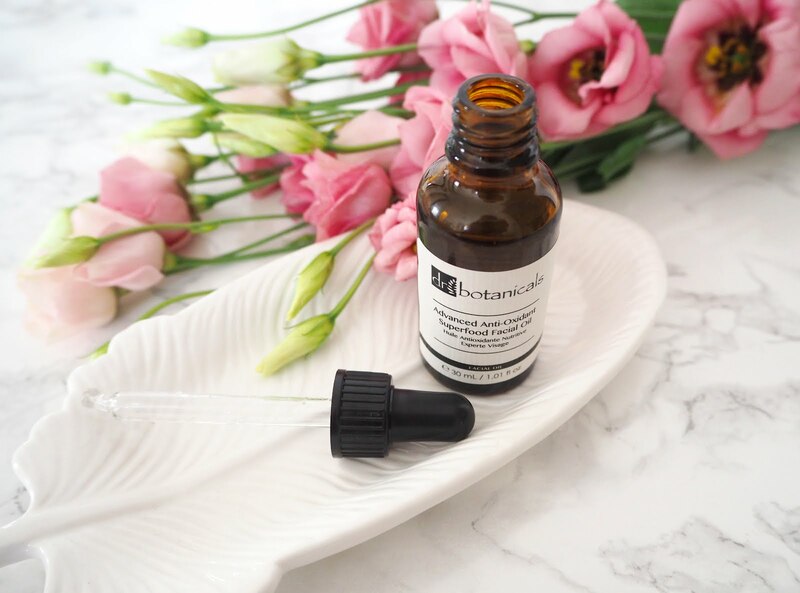 To celebrate Earth Day during April Dr Botanicals are featuring their most natural product which is Advanced Anti-Oxidant Superfoods Facial Oil*. With just 15 ingredients, this product is their greenest yet. This formulation is also Preservative-Free as it contains no water and so is self-preserving. 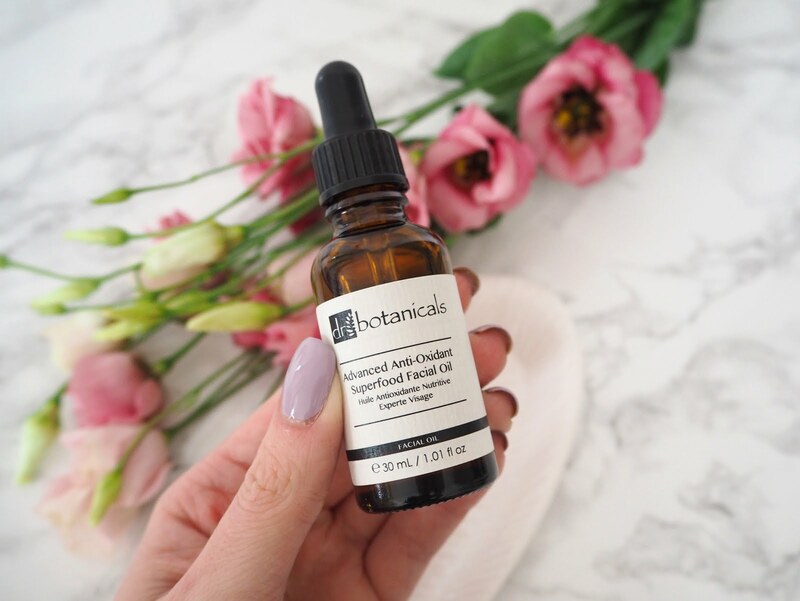 Inspired by nature and boosted with superfoods, Dr Botanicals Advanced Anti-Oxidant Superfood Facial Oil aims to protect, nourish, heal and regenerate skin. The powerful blend of ingredients will leave skin looking fresh and feeling deeply nourished and moisturised throughout the day. As I've spent more time experiencing with different types of skincare & brands I've realised the importance of layering products & textures and how effective the results can be particularly overnight. It can really help you to target different issues you have with your skin as well as increase & prolong its hydration levels! I apply this facial oil after cleansing & toning my skin but before I apply any eye creams or moisturisers. One of my bug bears with oils or serums is that they can sometimes be quite heavy and leave quite a greasy residue behind or worse feel tacky! However this one is incredibly lightweight without leaving any kind of stickiness or tackiness and I find it works particularly well underneath the Overnight Masque. I tend to use this product just at night time but it's light enough to use during the day too. It comes as a pipette delivery system so it's easy to release just a few drops into your palms, rub you hands together and press gently into your face. Any excess I take up my neck area. I absolutely adore the scent and find it feels really luxurious and relaxing to use. I have found it genuinely improves the feel of my skin, in the morning I find it looks and feels both plump & hydrated. I will definitely be repurchasing whilst it's on such an incredible offer! Blackcurrant Seed Oil | this moisturises, nourishes and strengthens the skin. Wild Plum | has remarkable skin healing properties and is full of antioxidants to fight free radicals and fight the signs of ageing. Sea Minerals | mimic compositions found within the skin work to re-mineralise and improve vitality of skin cells. 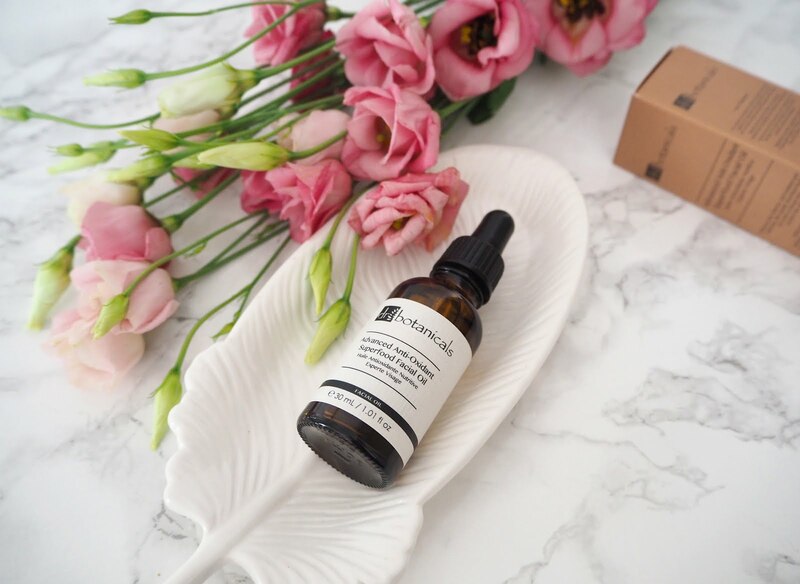 Dr Botanicals Skincare products are all created using natural ingredients (no parabens or preservatives), are Vegan friendly and cruelty-free. Hence will be a welcome gift to everyone! During the month of April you can buy this Facial Oil at an amazing discounted price of £19.99 (down from £67.50!) - so a great bargain. Simply enter this code at the checkout. The code is valid only until the end of April. 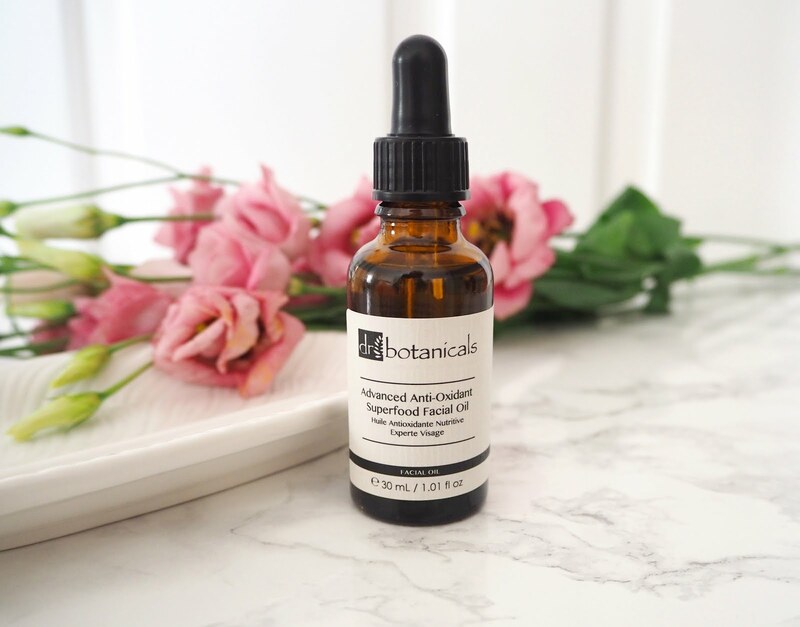 Follow Dr Botanicals on Facebook, Twitter & Instagram to keep up with the latest news & product launches! This year I have become a brand ambassador for Dr Botanicals so I will be featuring a star product every month on the blog with lots more discounts & reviews from the range! 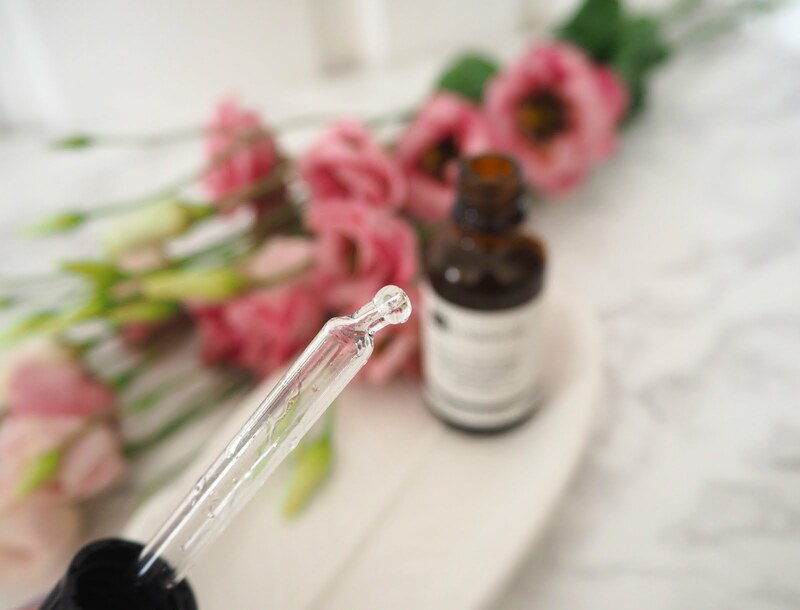 Do you have a favourite facial treatment oil? With so good ingredients I would definitely try this oil!